"Thirteen.1: Making Plans" (2017). 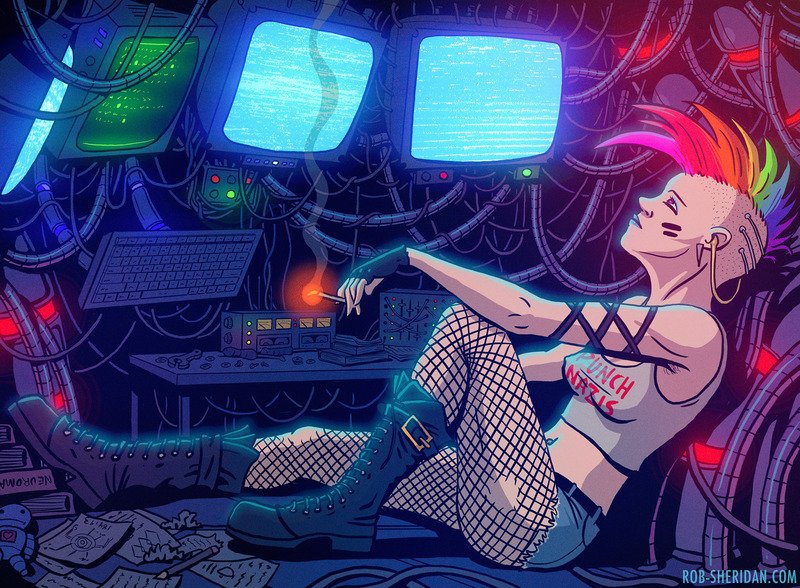 Animated illustration, from a series of original narrative cyberpunk art. Prints available.